Finding sequences for orphan enzymes. Click here to access our database of orphan enzymes and supporting information. Interested in learning about finding sequences for orphan enzymes or learning how to prevent them in the first place? Try one of our tutorials. Please consider taking a few minutes to provide your input about sequence deposition and EC numbers. The Orphan Enzymes Project (OEP) is dedicated to connecting modern genome sequencing methods with a century of “orphaned” information about enzymes. The goal of the project is to associate an amino-acid sequence with every known orphan enzyme. We depend on being able to tie enzyme function to sequence for so much of our research and biomedical needs. When we identify enzymes, we are able to find drug targets, understand how diseases work, and develop new tools for making biofuels and other synthetic biology products. In addition, every time we sequence a new genome or first try to understand the function of a new gene, we make a best guess about what those genes do by referring to our library of known protein sequences and their associated functions. Being able to make these predictions frees researchers from costly and time-consuming troubleshooting and lets them focus on research they truly care about. 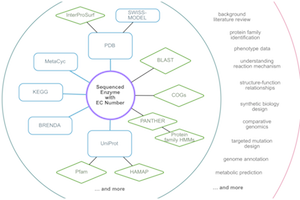 Orphan enzymes are lost for all these critical uses because we lack sequence data for them. Each orphan enzyme we identify “rescues” valuable prior enzymology research and recovers lost drug targets, knowledge, genome annotations, synthetic biology tools, and more. Read What is an orphan enzyme? to learn more about orphan enzymes and why they matter. You may also want to read our publications to learn about how we can find orphan enzymes and the impact of doing so. 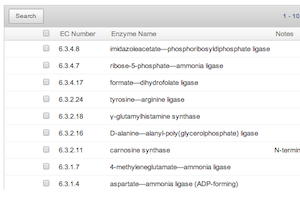 When the project started, we looked at those orphan enzymes with Enzyme Commission (EC) numbers. Of those 4,400 enzymes, about a third were orphan enzymes. Through a systematic approach combining bioinformatics and laboratory research, we have found sequences for almost 300 orphan enzymes so far. Of course, that leaves over 800 orphan enzymes within the EC system alone, with many more that have not yet been assigned EC numbers. 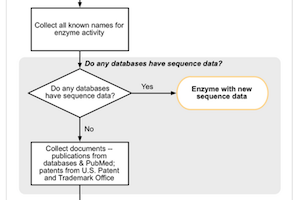 We plan to identify additional orphan enzymes outside the EC system, evaluating them through the combined literature, database, and patent approach that has let us identify hundreds of sequences already. We will also apply computationally driven approaches to predict candidate orphan enzymes for the hundreds of orphans that do not have sequences hidden in the literature. Finally, we will engage the research community in identifying potential orphan enzymes, collecting existing research data, and using enzymology and sequencing methods to fill in the gaps. Support for the Orphan Enzymes Project includes Grant Number GM086755 from the National Institute of General Medical Sciences of the NIH.